Do you have a gorgeous new lawn and lush, colorful plantings? At O’Grady’s Landscape, we want you to take pride in the gardens and grasses that define your property and give your outdoor space a unique look. But in order to keep your plants healthy and beautiful, regular lawn maintenance is necessary—and weed control is a critical part of that process. After all, weeds are not only unsightly, detracting from the views your gardens provide, but they can also kill the flowers you love so much! Don’t’ let the weeds take over—let us help you with weed control in Northern Virginia so you can sit back and enjoy the stunning views your property has to offer! Call us at 703-533-5001 for service in North Arlington, Great Falls, the City of Falls Church, Vienna, or McLean. Why Is Weed Control So Important? Weeds are some of the most resilient plants out there and they tend to grow no matter how well you take care of your landscape. But when you have weeds in your garden or lawn, they compete with the other plants for water, sunlight, and other nutrients. And as their root systems grow, this only gets worse, making it more likely for weeds to overtake your gardens. To prevent this from occurring, we recommend having weed control completed within three weeks of growth. At O’Grady’s Landscape, we offer weed control services to homeowners in Northern Virginia, with the ultimate goal of helping you maintain a gorgeous property you can enjoy each season of each year. We also offer fertilization services to help replenish any nutrients your lawn has lost due to weed growth. Are you ready to give your lawn the care it needs? You’ve come to the right place! 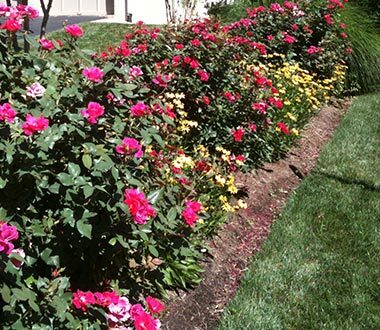 At O’Grady’s Landscape, we provide homeowners in North Arlington, Great Falls, the City of Falls Church, Vienna, and McLean with all the lawn maintenance services they need to maintain lush, green grasses and beautiful blossoming plantings. Weed control is critical to that process, but if you really want the best looking landscape on the block, it’s important to consider the other core phases of maintenance. Don’t’ let the weeds take over—let us help you with weed control in Northern Virginia so you can sit back and enjoy the stunning views your property has to offer! Contact us at 703-533-5001 for service in North Arlington, Great Falls, the City of Falls Church, Vienna, or McLean.